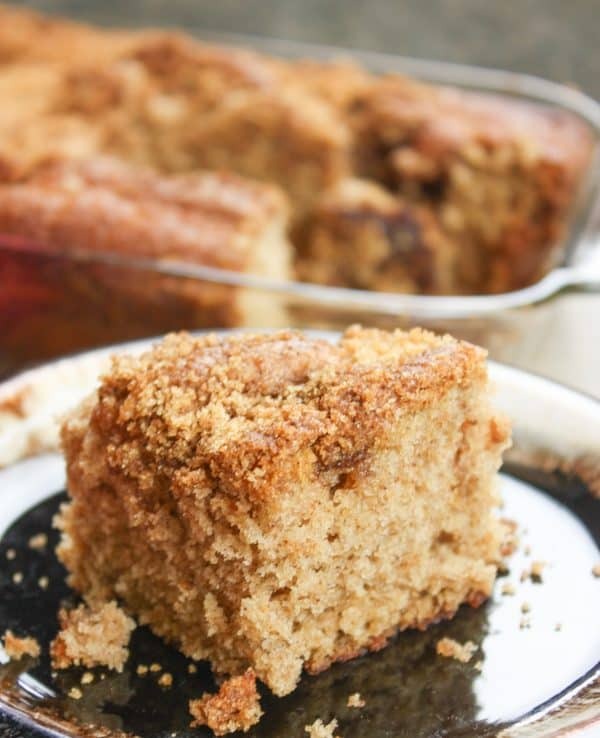 Cinnamon Coffee Cake with Buttermilk is the perfect dessert to start off the fall season. This is an easy coffee cake recipe from scratch with a brown sugar, cinnamon, and nutmeg topping. 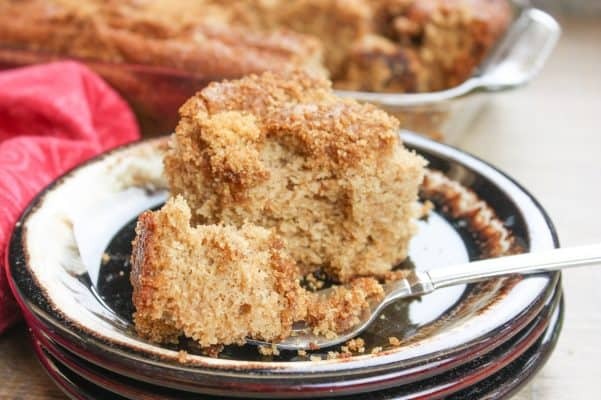 Coffee cake is such a great dessert for parties. I’m guessing that you’ve probably got most, if not all, of the ingredients already in your cupboard. And the buttermilk adds a rich flavor and keeps the cake moist. 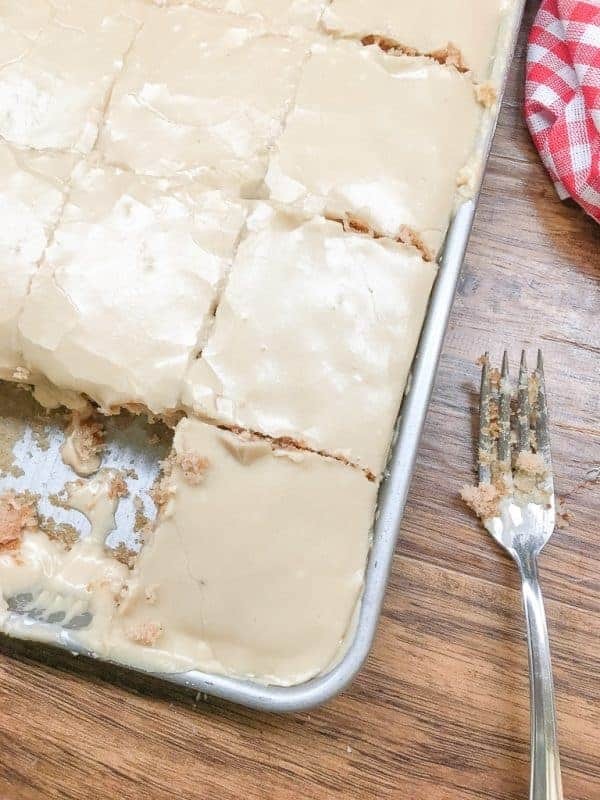 What Makes a Coffee Cake a Coffee Cake? 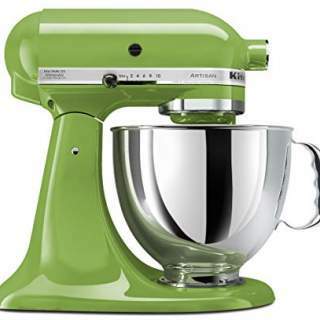 Most cakes have a frosting or icing on top, such as a pound cake or birthday cake. 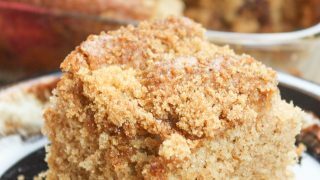 But, coffee cake usually has a streusel type crumbled mixture on the top. Icing can also be drizzled across the streusel. 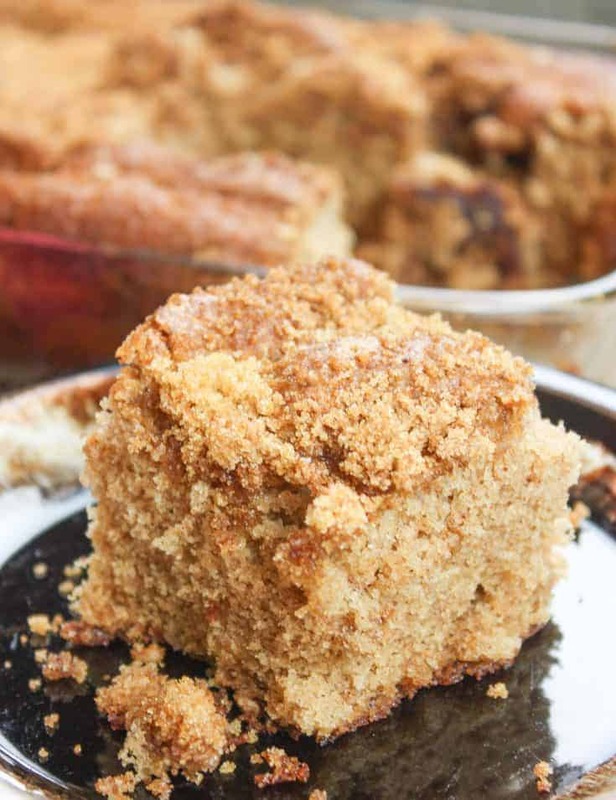 This cinnamon coffee cake recipe includes nutmeg which always reminds me of fall. It’s a delicious side treat to a pumpkin latte or a nice steaming cup of coffee. And let me tell you, this is a super moist recipe. It wasn’t too heavy or too dense. 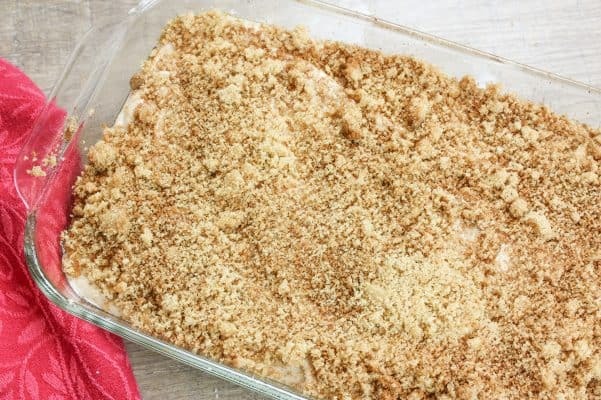 It’s a lighter version of the typical crumb coffee cake recipe. 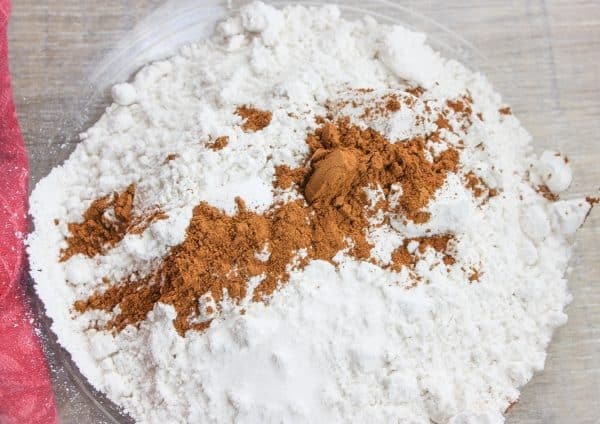 Add the flour, baking powder, baking soda, salt, and cinnamon to a medium-sized bowl and mix together. Set aside. 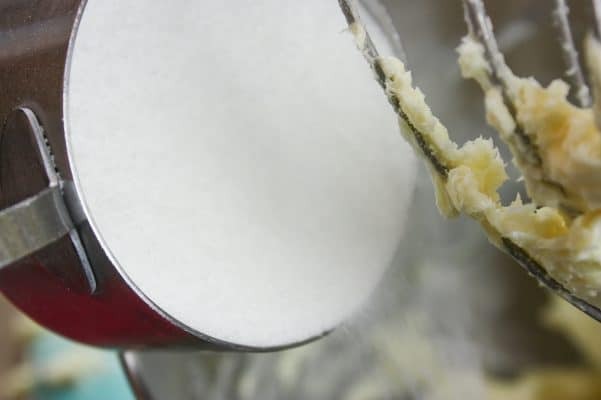 In a separate large bowl, add the butter to the mixer and cream. 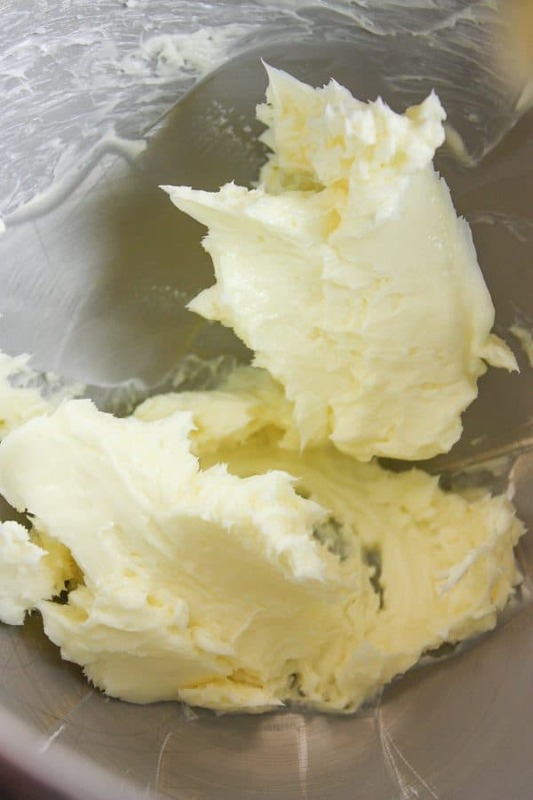 If you’re like me and forget to set the butter on the counter for a while so it can soften, you can go on and place it in the mixer and cream it for a little longer. Add the sugar to the butter mixture and mix again. 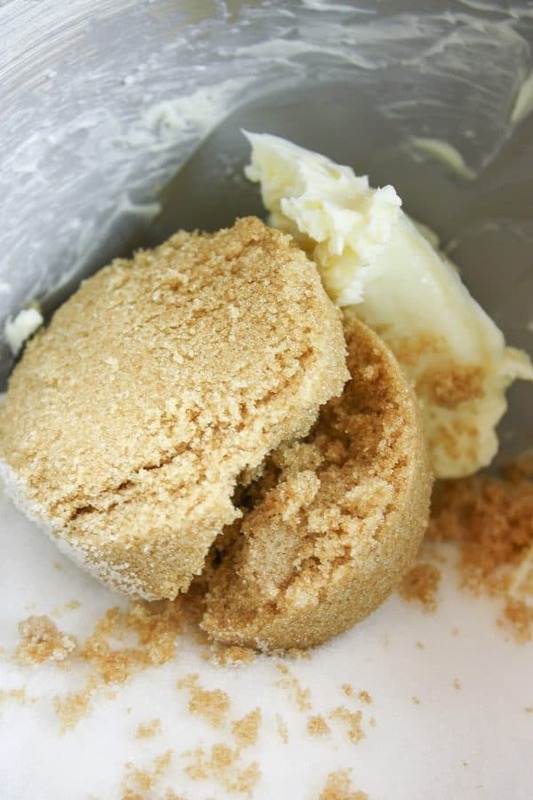 Add the brown sugar to the butter mixture and mix again. 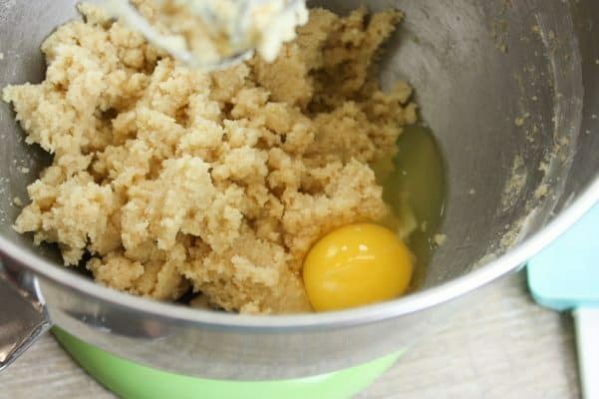 Add one egg at a time to the butter mixture and mix until they are well blended. Alternate adding the buttermilk and the flour mixture to the butter mixture until everything is incorporated. I always stop and scrape down the sides so I get every bit of ingredients mixed in. I can smell the cinnamon at this point and it’s such a happy smell. Add the vanilla and give it one last mix before pouring it into the baking dish. 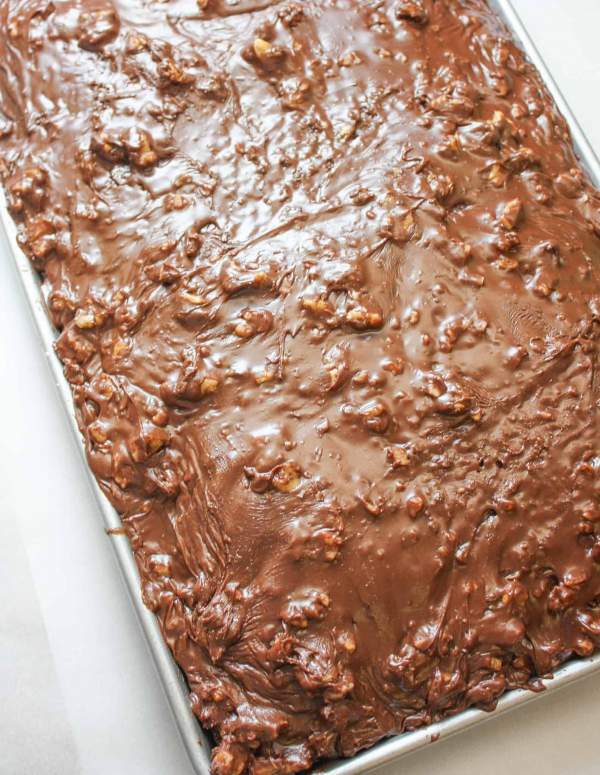 Pour the coffee cake batter into a greased baking dish and set aside. In a small bowl, mix brown sugar, cinnamon, and nutmeg. 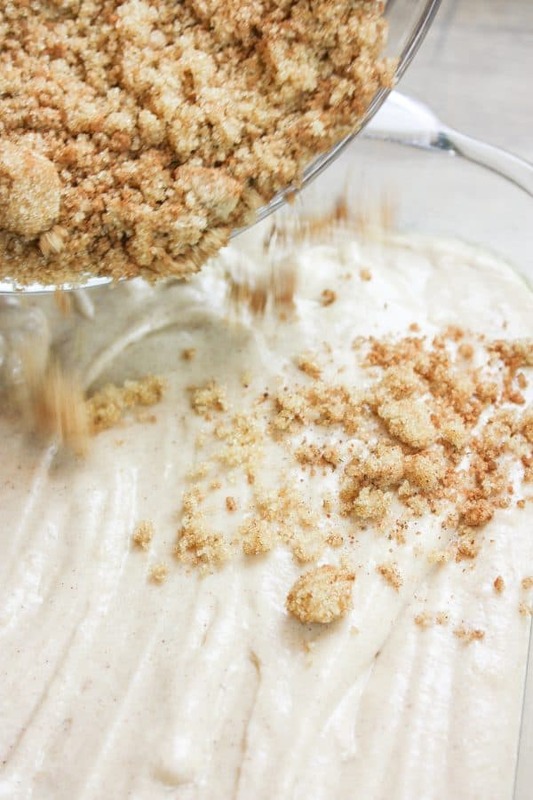 Sprinkle the crumbled streusel mixture over the top of the coffee cake. 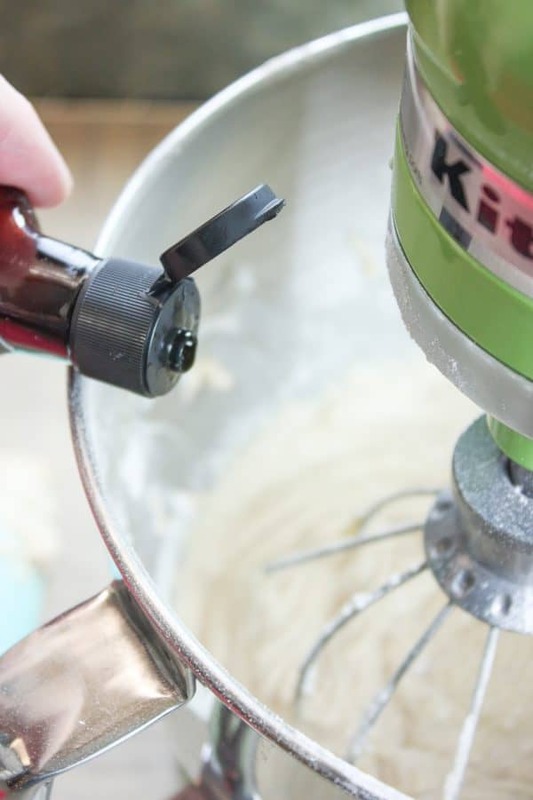 Spread it gently with your hands evenly across the top of the cake. 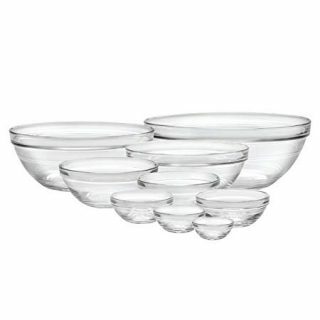 Bake for about 30 minutes or until a cake tester comes out clean. Y’all are going to love this Cinnamon Coffee Cake with Buttermilk. Grease a 8" x 10" baking dish. 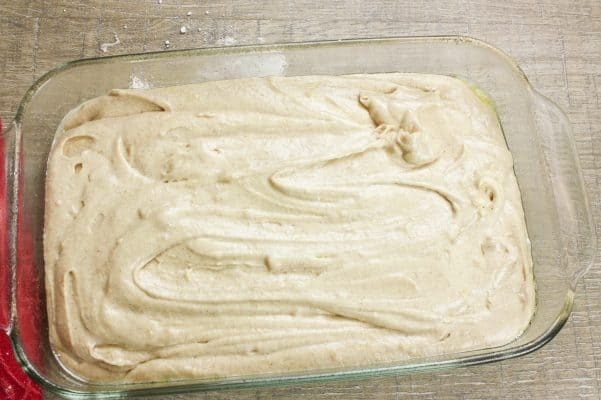 Add the flour, baking powder, baking soda, salt, and cinnamon to a medium-sized bowl. Mix and set aside. 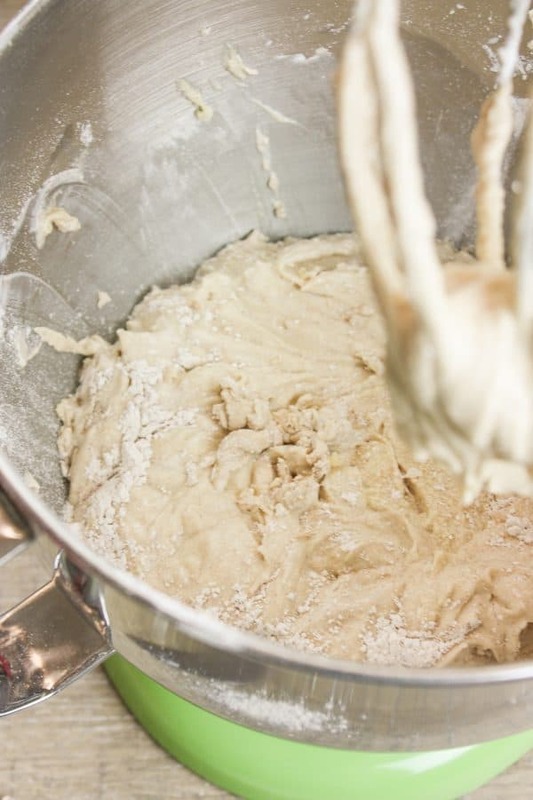 In a large bowl, add the softened butter and cream. Add the sugar and brown sugar and cream together for about one minute. Add the eggs one at a time and mix together. 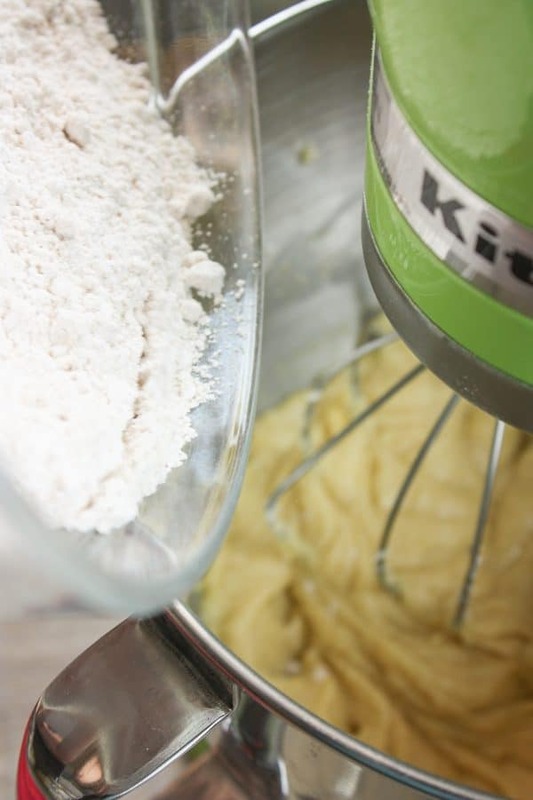 Alternate adding the flour mixture and buttermilk until well blended. Add the vanilla and mix again. 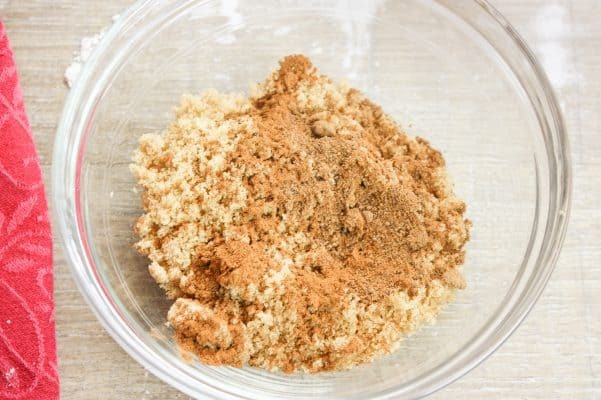 Add the brown sugar, cinnamon, and nutmeg to a small bowl and mix together. Pour the streusel over the cake mixture and spread evenly.